If you are a Washington DC resident, you must register, title, insure your motorcycle and take it for inspection. Before registration, your motorcycle must pass both the emission and safety inspection. 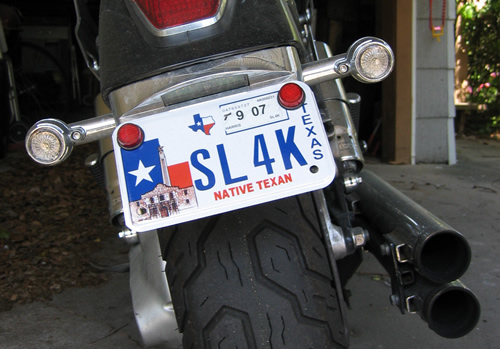 Your motorcycle must have a valid tag from the DMV or from any another jurisdiction, before you take it to the inspection station. If your motorcycle tags have expired, you will need to obtain temporary tags from a Washington DC DMV service location. To get the temporary tags, you have to bring proof of insurance, title certificate and pay a $13 fee. You will be issued with temporary tags that are valid for 45 days, so you have to take your motorcycle for inspection before they expire. Once you have the tags, you can then take your motorcycle to any inspection station to conduct an emission and safety inspection. You will not be asked for inspection fee; you will pay the fee when you register your motorcycle. Registrant’s DC driver’s license or permit. Also, you have to pay the appropriate inspection and registration fees. In Washington DC, you must pay any child support payments, dishonored check fees and dishonored check fees in order to be allowed to register your motorcycle. If your motorcycle registration has expired, you can renew it online, in person or through mail. The renewal process is the same as that of a car.